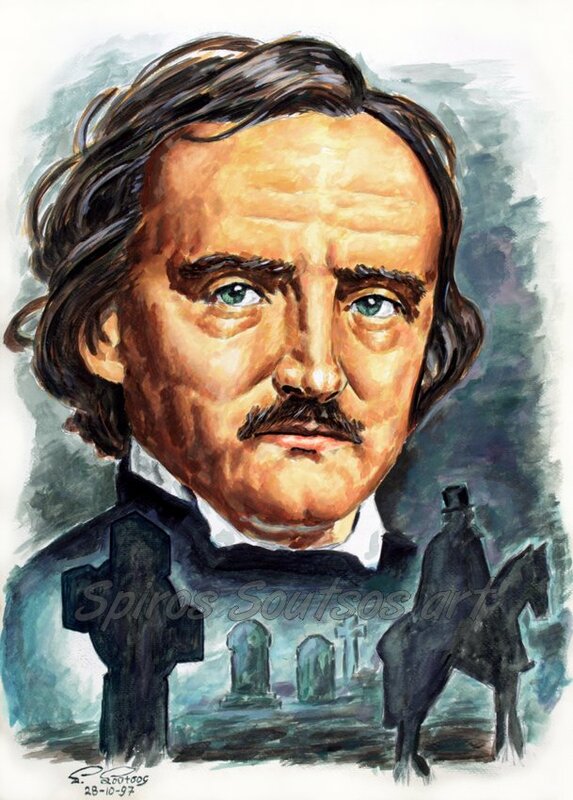 Edgar Allan Poe ( born Edgar Poe; January 19, 1809 – October 7, 1849) was an American writer, editor, and literary critic. Poe is best known for his poetry and short stories, particularly his tales of mystery (The Gold-Bug) and the macabre (The Masque of the Red Death, The Pit and the Pendulum, The Fall of the House of Usher, Morella, Premature Burial). He is widely regarded as a central figure of Romanticism in the United States and American literature as a whole, and he was one of the country’s earliest practitioners of the short story. Poe is generally considered the inventor of the detective fiction genre (The Murder in the Rue Morgue, The Mystery of Marie Roget, The Purloined Letter) and is further credited with contributing to the emerging genre of science fiction. He was the first well-known American writer to try to earn a living through writing alone, resulting in a financially difficult life and career. In January 1845, Poe published his poem “The Raven” to instant success. His wife died of tuberculosis two years after its publication. Poe died in Baltimore on October 7, 1849, at age 40; the cause of his death is unknown and has been variously attributed to alcohol, brain congestion, cholera, drugs, heart disease, rabies, suicide, tuberculosis, and other agents. Poe’s early detective fiction tales featuring C. Auguste Dupin laid the groundwork for future detectives in literature. Sir Arthur Conan Doyle said, “Each [of Poe’s detective stories] is a root from which a whole literature has developed…. Where was the detective story until Poe breathed the breath of life into it?”In 2013, The Guardian cited The Narrative of Arthur Gordon Pym of Nantucket as one of the greatest novels ever written in the English language, and noted its influence on later authors such as Henry James, Arthur Conan Doyle, B. Traven, and David Morrell.